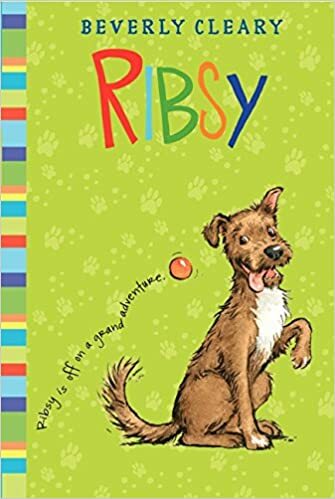 Newbery Medal-winning author Beverly Cleary gives Henry's dog, Ribsy, the center stage in this dog's-eye view of the adventure of a lifetime. Good ol' Ribsy's ever-curious mind has always gotten him into scrapes, but this time he may have gone too far. After a comical turn of events, Ribsy finds himself in the wrong station wagon with the wrong children. Ribsy will do anything to find Henry, but there's plenty of excitement to be had along the way—and scoring a touchdown for a local high school team is only part of the fun! we’ve got him,” said Mr. Woody. “Line up with the jackets at the other door, and I’ll go in with the yardstick and chase him out.” The three women stood at one door of the cloakroom with the jackets aimed, while Mr. Woody marched in the other door with the yardstick. Thumping and whacking could be heard from the cloakroom. “Look out! Here he comes!” yelled the principal. The teacher, the mother, and the school nurse crouched with the jackets. There was a flash of gray fur, and all three pounced.